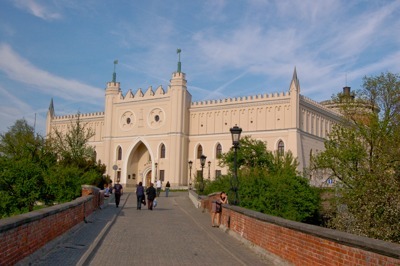 Lublin is located in the east of Poland. It is an old and cozy town with a special European name. It combines the beauty of old Polish cities and subtle European chic. Lublin is a city of inspiration, as not only travel tickets say, but also information brochures and huge signs. Anyone who wants to see the city from a height of 40 meters, must certainly climb the observation deck of the Neo-Gothic Trinitarians. Before the tour, there will be a magnificent view of the old city. Descending from the Trinitarian Tower, you can immediately head to the old market square and completely immerse yourself in the Renaissance. Entering the market square, each can see a stone building of red color - this is the house of the family of Lubelski. In the basement of the house, there are ten rooms, nine of which are a multimedia exhibition, numerous installations, and valuable historical exhibits. From the Castle Hill to the old town, the Neo-Gothic Lublin Castle built at the beginning of the 19th century. Currently, there is a museum in the castle that represents ethnographic and archaeological collections. Zembozhitsky Gulf is an excellent place for family rest, which is located 6 km from the city center. On the shore of the bay, there is a rental of mountain bikes, kayaks, and equipment for water tourism. There are several museums that are very popular with tourists in Lublin, such as, the State Museum in Majdanek, located on the territory of the former concentration camp, Museum of the Lublin village, Museum of the printing house "House of Words", Museum of the history of the city of Lublin. For excursions of a large number of people, it is a great idea to order a comfortable bus that can accommodate 65 people and each of them will feel very comfortable and safe. The service provides splendid, modern buses with professional drivers for the increased comfort of all passengers. 8rental has been on the car rental market for many years and has gained trust and credibility amongst its customers. Send us a quote, state all the details and we will answer in no time with a reservation. There are many tourists with whom we interact saying that they have been really disappointed in the CS of the so-called reliable rentals. They tell us that after sending their requests they just received an automatic reply of the confirmation. When they arrived in a particular city the vehicle they ordered did not correspond to their needs. We feel very sorry for them and we completely understand that the details mentioned in the request may not always be sufficient to complete the order. That is why our CS team proceeds every request at an individual level and they are always ready to provide our customers with all necessary support so that when they arrive they will be fully satisfied with our bust rental service. 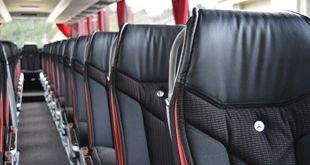 Hire a bus with a driver at 8rental and we will make sure you will never experience any disappointment! 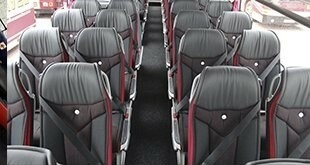 The company offers new and modern buses with a capacity of up to 65 people. the bus interior is spacious and cozy, they are all equipped with a host of amenities, so passengers will be very comfortable during the trip. Using the services of 8rental.com. each does not have to worry about comfort and safety, as these two aspects are the main things for all employees. The drivers who deal with the transportation of passengers around the city and its surroundings have a very responsible approach to their work. They have a very big experience in driving buses with tourists and they speak several international languages, so they know very well all the subtleties of this work and are well versed in the city map. Their goal is to safely and productively transport people from one place to another what they successfully do. Renting a bus is the best idea for those who are going to visit Lublin and have time to do more traveling with a large group of people!